This CF / Walnut model was the first produced in the C Class. These were designed in partnership with my friend Paul Hewitt of Rocket Shells who worked very hard at perfecting the process of bonding natural wood to carbon fibre - not an easy task, but worth it. 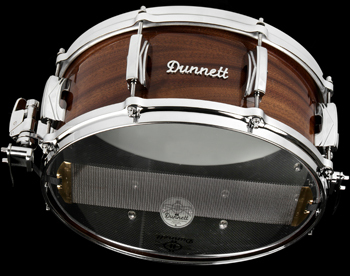 Carbon Wood snare drums are available exclusively from Dunnett Classic Drums.